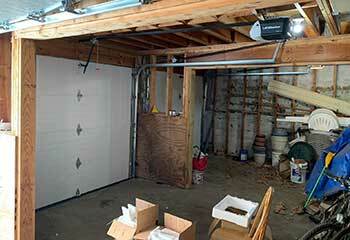 When it comes to garage door repair services, our professional technicians are some of the very best. There's no opener or spring related problem we can't handle. Check out the following projects we completed. Customer Issue: The customer’s opener served him faithfully for almost ten years, but it became clear that he needed a replacement now. Our Solution: The new unit our team installed was a LiftMaster 3240 screw drive opener that fit Mr. Svenson’s existing drive and trolley system. Connecting it to his old remote control and wall panel went smoothly, and the new opener performed to satisfaction. 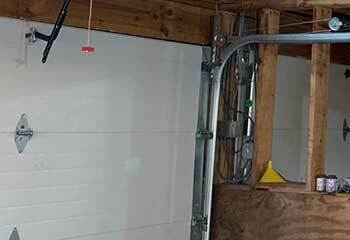 Customer Issue: Frayed garage door cables. Our Solution: During a routine maintenance inspection, the customer found that his door's lift cables had become frayed and he was worried about using it in this condition. 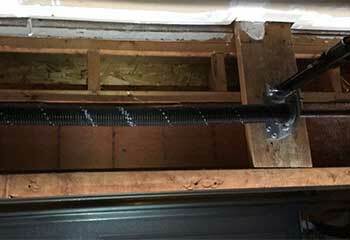 Our team replaced the damaged cables and made sure his door was safe to use. Customer Issue: Worn extension spring. 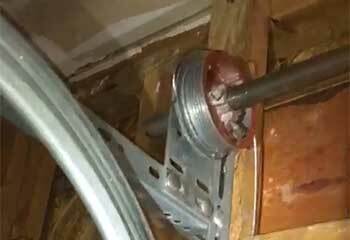 Our Solution: When we inspected this customer’s door spring it quickly became apparent that it was close to failure. We replaced both extension springs with new units, guaranteeing their system's reliable operation for a long time to come. Customer Issue: Damaged door panel. Our Solution: This customer’s sectional door had been damaged in a recent collision with their vehicle, and needed to have a few of its panels replaced. We installed the new panels within a day, leaving this customer very satisfied. 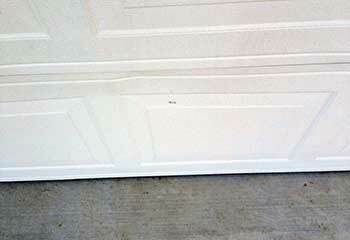 Our Solution: When we inspected this customer’s door tracks it was clear that they’d become bent out of shape. We replaced their horizontal roller tracks with new units, allowing the door to operate smoothly and reliably once again.